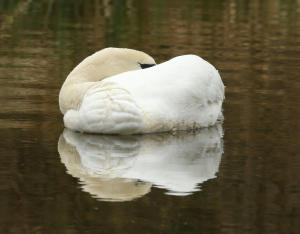 Observation - Mute Swan, Asleep - UK and Ireland. Description: Definitely asleep, not blinking. It's eyes were shut for several minutes. Definitely asleep, not blinking. It's eyes were shut for several minutes.